Fewer times in my life was I hit hard by my eurocentric U.S. history education than when I planned this trip to Vietnam. In short, based upon my eurocentric education, Vietnam existed only during the years 1955 and 1975; Vietnam was / is an “evil, communist country”; Vietnam is probably just a long line of monks eating bowls of pho. I didn’t see any explosions, and oddly enough, nobody on fire. I did, however, see some historic buildings, ride a ton of motorbikes, eat a lot of tropical fruits, and meet some super friendly faces. 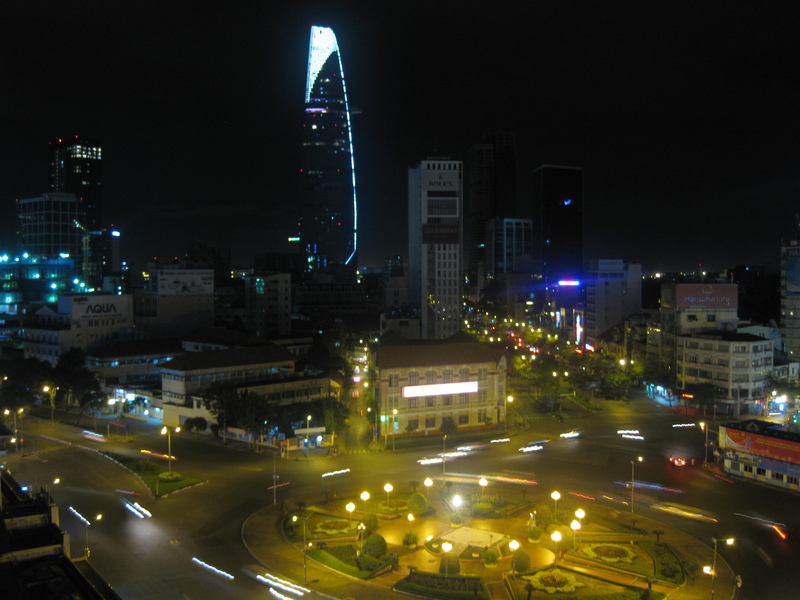 Anyway, if you’re like me and now need to do an internet search on contemporary Vietnam, because you, too, are clueless….. here is a photo for you of a tourist hotspot in Ho Chi Minh City. It was like Cali– a great place to visit. Also, it’s always good to be home.